2008 Address today at Noon!!!! 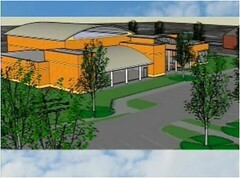 Maybe there will be some good news after all... renderings perhaps? After reading, I have so much hope for Norfolk. So much has happen, The light rail, 4 hotels, WESTIN!, Wachovia center and so much more. They even mention something about Granby Tower, so there hope for this project still. 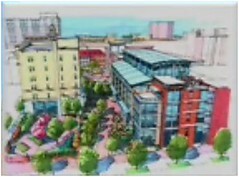 Just Imagine, in 2008-2011, Another Major transformation for Norfolk. So much construction, and hopefully more in the works to come. I am so excited that they are extending main street and going to build a new courthouse, it will be cool to see Highrises stretching as far to Norfolk State. Norfolk will always be the true urban core of this area. No matter if other city blow up in population, but doesn't that suppose to happen? You have bunch of suburban cities were most of the people live, surrounding one Major city, were most of the people work ,last time I check that was correct. So what Virginia Beach has a bootleg Downtown, I will take Norfolk any day. A bootleg downtown? Exactly what is that and why is it wrong for Virginia beach to have an urban core in the midst of its miles of suburban sprawl? There is no need to put down other cities to make a point. We are all happy that Norfolk is doing well and should be happy that Norfolk's neighbors are doing well too. We are all one region. You guys are so sensitive when it comes to comparing and contrasting cities.. Yes! I said Bootleg. Maybe I should have chosen my words correctly. How about immature?! Do not get me wrong Vdogg, I support Va Beach 100%. There is nothing wrong with Va beach having a "Urban Core" my comment only meant that it is young and immature, and Norfolk has more to offer than then Va Beach downtown. I am not putting down NO city in the area. I want this region to come together, and grow as one. I am not bashing Va Beach, doing that will only set myself up for arguments with you guys. MY comment was not intended in that way. How do you feel about Granby Tower, do you think that this is another false hope? I don't think we are sensitive at all...when Norfolk seems to be doing well, some people aren't just happy, but use it as a tool to lambast the beach instead of just sticking with "this is great for the city." Maybe lambast is too harsh a world, maybe I should have chosen to say politely offend the Beach. As for Granby Tower...Dominion Tower took 5 years to get off the ground once it was approved. I won't give up on it until it reaches the 5 year mark. I pretty much gave up on Granby Tower due to the stalling, housing market, and the costs of the work they already done plus equipment. I am glad that Norfolk is getting better. Alot are still concerned that the city is spending too much money on downtown and not enough on other areas, schools, etc. Now in his state of address, is crime really going down in the last 5 years? I was reading the paper last month saying that it was up. Anyway, it is great to see progress and much more is needed for Norfolk. I have some mixed feelings about multiple work centers in that they tend to create more suburb to suburb trips. The 1990 and 200 census data indicated that those work trips increased dramatically, and that they tend to be lengthy trips as well. 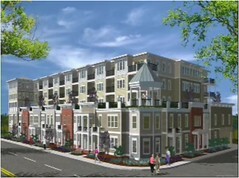 This type of development creates need for projects such as the Southeastern Parkway and diffuses potential transit routes. If planned and placed strategically, these work multiple centers can be effective, but they tend to be naturally occuring outcroppings from suburban commercial nodes. Both VB Town Center and downtown Norfolk seem to have gotten it right, in that there are growing residential components to their respective development. But VB Town Center isn't a true downtown. It's nice though, isn't it? But VB Town Center isn't a true downtown. And for the record, no cities should not be designed to have everyone working in the downtown while living out in the suburbs, that is what has been causing all the mess in the world. The Germans, and to some extent, the French, pull this off quite well. 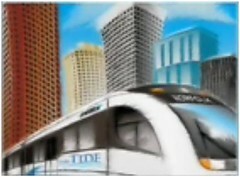 The key is efficient, safe, and comfortable mass transit. Take Frankfurt, for example. There are people that live in the country -- north, around Friedberg. About 25 miles from downtown. Nice, bucolic town -- much like the commuter towns around New York, etc. Rush hour trains, about every 20 minutes -- take 25 minutes to get to the center of town. The Germans also deal with multiple employment centers well -- they are all linked together by mass transit. Again, the Frankfurt area has downtown, just north of downtown, the area around the airport, and Weisbaden. They key is, that they restrict residential (and commercial) development to that which the existing transportation infrastructure can accomodate. When the US started the troop reductions in the '90s, they gave back a good sized chunk, just south of Stuttgart -- was a large helicopter base. They did convert some of the family housing into civilian, but before they ever really started new construction, they extended the light rail out to the area. We do it all backwards -- let people build forever, then expect everyone else to support the new roads that are only required because of the new development. We could have the same thing here -- commuter rail, using diesel multiple units, running as far as Franklin or Elizabeth City. Want to live in the suburbs? Small town pace? No problem -- just won't have to drive a car into town because we have heavy rail, with light rail to get you close to your destination. HR would be an amazing area if it were designed like that. Not sure where to put these...from the mayors state of the city. 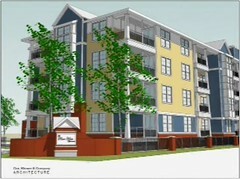 new housing for the old-folks in OV. And new pic of the tide I hadn't seen. The Church street one is though. What's that development called? 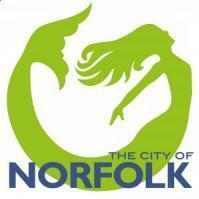 The 2009 Norfolk State of the City Address should be coming up in just a little more than two weeks! Hopefully, we can get an update on the Norfolk Westin! Yeah i think thats about all we will get..
Ok, was teh adress today? Lets get some info people! 2009 Norfolk State of the City address. 11 a.m. Feb. 6. Norfolk Marriott Waterside, 235 E. Main St. $45. (757) 664-2558. I googled it and this came up, don't know if its right or not. Woo 2 more days! Can't wait to see what developmets come out of it. Do you think anything will be anounced about granby tower? It still is just on hold. (or am i wrong) If i am what about the empty lot?